My greatest sense of accomplishment stems from making a positive difference in people’s lives. 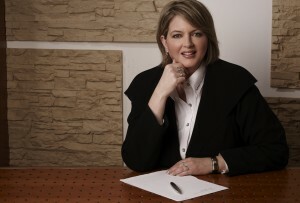 Thanks for visiting my site and taking the time to find out more about my executive coaching and consulting services. Helping others find the key to achieving their full potential with clarity and confidence is a main component of my raison d’être. I specialize in executive coaching, leadership and career development for women. Typically I work with clients in international environments, ranging from executives and their teams to professionals, managers and small-business owners. I assist women in developing skills essential to their success, fulfillment and self-esteem, such as assertive communication, strategic thinking, effective negotiation, and increased self-awareness. People I work with describe my approach as empathic, pragmatic and results-oriented, conveying a genuine commitment to helping others succeed. You can learn more about my services on the following pages. I also invite you to visit my blog to read about my thoughts and findings in the areas of women’s careers, leadership and personal development. Browse the client reviews section to read what others say about their experience working with me. Find helpful resources for your professional life. I also hold a number of workshops and training courses – keep an eye on the news & events area for current offerings. Wishing you much success on your way to professional fulfillment.